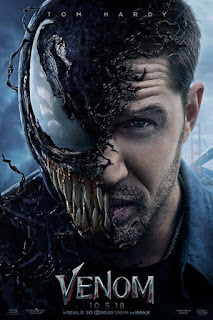 Read Ashley K's review of Venom. One of Marvel’s most enigmatic, complex and badass characters comes to the big screen, starring Academy Award® nominated actor Tom Hardy as the lethal protector Venom. There are good and bad things about all movies. Comic book movies in particular receive and unnecessary amount of criticism. I like to watch movies because I enjoy them. I never like to be overly critical and if a movie is good I will give it my honest opinion despite whatever people say. Tom Hardy is an incredible actor. His role as Bane is classic and everything he does he gives 100%... however, one thing that bothered me was his accent. He is British in real life doing a New York accent but he didn’t maintain it throughout the film. Other than that he was amazing and he also did the voice of Venom - very cool! Michelle Williams played Anne, his love interest and I just love her so that was a very welcome surprise. There are parts of this movie where you will just be very confused thinking “what?! This would never happen!”. I just said ok I’m here for the ride - let’s do this. Once I caught on to the tone of the film it was easy to enjoy, very entertaining. I don’t want to say too much and spoil anything. I hope you can go into this and have a good time. 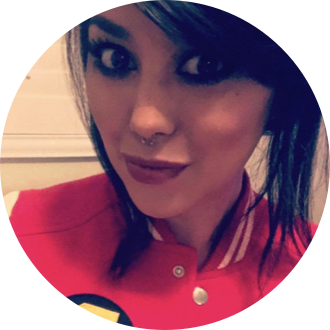 Ashley K. (Senior Contributor) is a frequent traveler currently living in San Diego. She's a super nerd who enjoys all kinds of movies and doesn't always think the book was better.